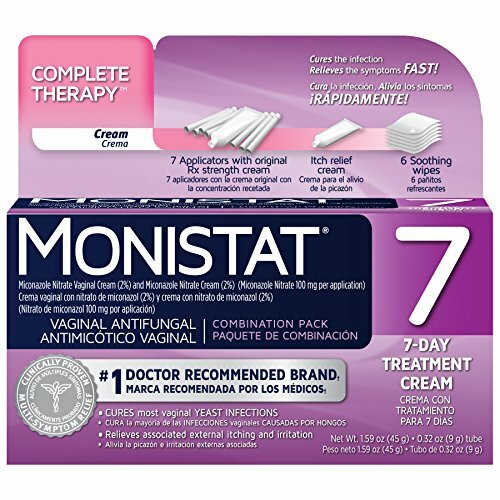 Monistat 7 is a powerful yeast infection cure but have you ever thought about what this stuff actually does? How it could be used to cure other problems? Read on! I'm a pretty prolific thinker and always have had this creative use of my resources skill set. I see anything as a resource and not just for the obvious reasons. You'd be surprised how much power you derive from simply utilizing what you already have for other things to get more use out of it. Some things like Monistat products are amazing at curing yeast infections but did you know the ingredients are not just toxic to yeast problems, but many other bacteria as well. This is not a catch all for infection but I will show you some (topical) things I came to realize when trying to resolve a problem for an ex-girlfriend 20 years ago. I used logic and wasn't sure how it would work- in fact it was a fleeting thought- "why not just use Monistat for that? ", I'd ask. She did, and found a new type of relief that was plaguing her for years- such a simple solution! Other women, one in particular in the military (tech school) mocked it when I mentioned it, then went home and tried it (for the same reason as the other) and the next day came to class boasting about how freakin well that worked! Cut Up Legs From Shaving? I had a girlfriend 20 years ago who would shave her legs and would (inevitably happens) nick her leg (cut it up). This lead to a big scab that would take 4-6 days to heal leaving it impossible to shave (several nicks and they kept coming). The problem was she had to wear skirts to work so she couldn't "not shave", and the cuts were making her legs look bad. It was her saying "Man why can't these dam things heal in a day or two?" that's when it hit me. Often the problem is that you cut your skin, and airborne bacteria as well as body bacteria, hands, etc... get in there trying to 'feed' on you before it heals. The bacteria is the reason the healing process is likely taking longer so I deducted, "doesn't Monistat 7 cure yeast infections?" and my next rhetorical question was "aren't both infections based on bacteria of some sort and doesn't Monistat also help heal the wounds that can come from the yeast infection? 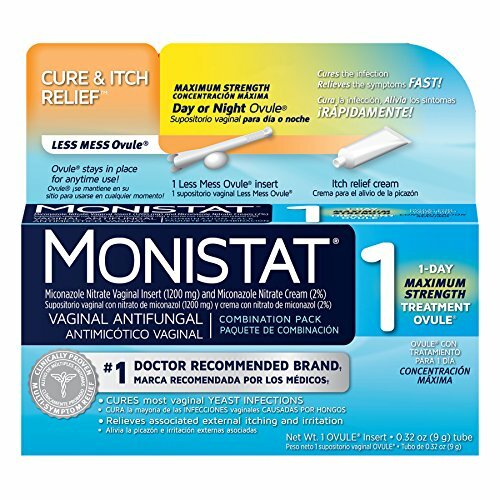 What hit me first was that both "itched" and thus part of the problem... People take Monistat for itch relief as much as the yeast infection so it makes sense that the same topical will heal both. She thought the idea a bit ridiculous but was desperate at that point. I bought her some of the cream (threw away the applicators) and said just try it. She essentially replaced the shaving cream with this stuff. Two days later her legs were healed enough to shave without nicking the wounds! She said it seemed like it healed instantly (that day) and it didn't itch like it was so she wasn't subconsciously scratching and making the problem worse. She applied it several times a day just a little bit at a time until it stopped itching. She shaved around the cuts keeping the stuff on the area where the scabs were forming while she shaved. She then rinsed her leg off and when she got out of the tub she put Monistat over the scabs (not new cuts, although you may be able to do this I'd wait till it scabs over that day. She used bandages to hold the cream in place at work. She was blown away and found a new cure for cut up legs and was actually bragging about it to her friends passionately telling them just try it man. When I was in tech school in the Air Force someone had a similar issue and I brought up the idea again tagging on that my girlfriend at the time had success. She made a big laugh out of it and had the room rolling at some point at my expense... it's not easy being an innovator! - I didn't flinch, I said, whatever guys, just try it- then you won't be laughing. She did and came back the next day laughing again but this time at herself. She vouched for it working and was truly amazed it actually worked! Simply, you're just whacking all the bacteria so your body can heal and stop being tormented, a cut on your leg after a few hours and some Monistat 7 (add when it scabs over) and you're good to go. 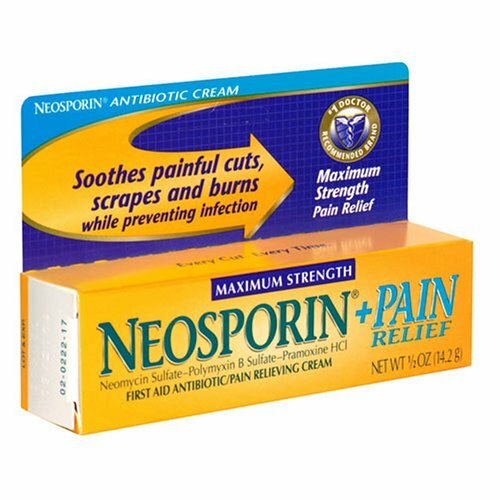 My ex had tried everything including the most obvious one- Neosporin- it still took too long but the monistat was like a magic eraser for leg cuts, sort of- takes a day or two maybe, both the above cases saw results in a day. She eventually came to realize the best way to go was to put neosporin on the fresh cut then just before bed that day she'd put the stuff on the scabbed over cuts. I ran into my ex several times over the years before moving out of the state of California, and she STILL to this day uses it when "things get hairy" hahaha. I digress. My current girlfriend, actually Fiance', had an issue that made my brain pluck out the Monistat concept again. No not a yeast infection or leg cuts, but rather something many women deal with due to their bra, sweat, and often materials that don't breathe too well if you have size D's. The problem is under breast acne or even temporary cysts that form. Now we went to the dermatologist about it and I couldn't help myself- I brought up the monistat 7 idea to the doctors intrigue. She said "wow, that's interesting Never thought of that!" she continued to say I'll have to mention that to my patients... I smiled. She told her to try it, it certainly couldn't hurt. She tried it and discovered it actually did work. It drastically reduced the acne and cysts even disappeared faster. I can imagine there are many other great uses for this, but these are the two most popular I've seen others try. I wouldn't recommend using this stuff too much. It does work but you don't want your body getting used to it and it not working anymore- and this should be used only when nothing else is working. If your legs are cut up and you can't get a break in healing time, this is a nice fix. If you have acne under your breasts, this may help. She basically put some on a paper towel and tucked it in where the acne was and gave it a day. Results are pretty drastic and cool. Good Luck! Share your ideas! 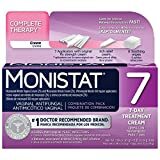 For the very reason you mentioned, I wouldn't use Monistat off label. It's just a bit of inconvenience, if you don't want to put a band-aid on your leg after shaving. But if you have a yeast infection and it stops working for that, you're in a bit of a pickle. I've had a couple drug resistant infections and it's really scary. HAHA nice! it's essentially an antifungal and that kills a lot of types of bacteria :) thanks for commenting! Dr. Stanislaw Burnzynski had a thriving clinic in Houston TX with many successes curing hopeless terminal cancer patients. The FDA tried to shut the clinic down. They failed.